If you use IconCMO for your church's management software, you can access the contact groups you have in IconCMO within your Call-Em-All account. The setup is simple and the steps are outlined below. Log in to your Call-Em-All account using your Call-Em-All Username and Password. Once logged in hover over the name in the top right corner and click SETTINGS. Then, click Integrations on the left side of the screen. 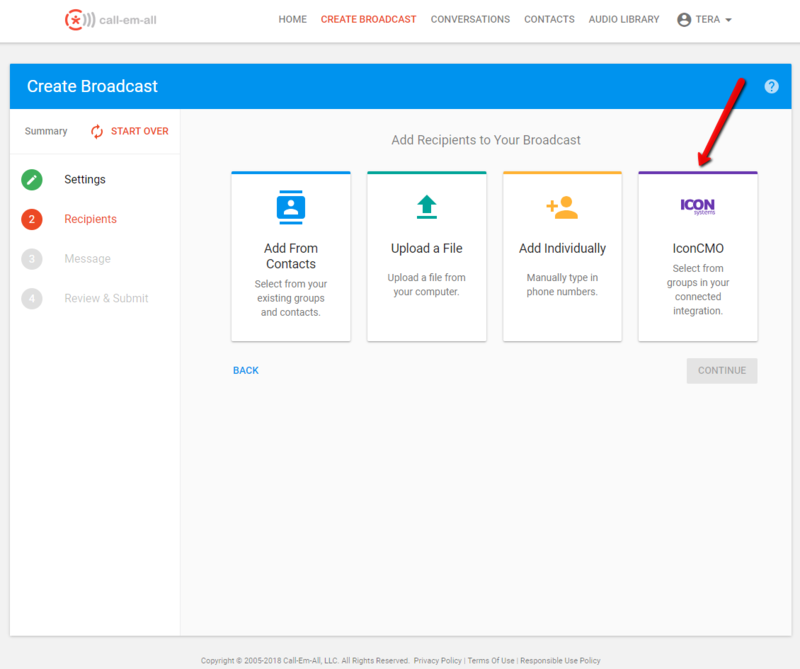 You can complete the connection by clicking the Connect to the right of the Icon CMO Church Software and entering the required information. 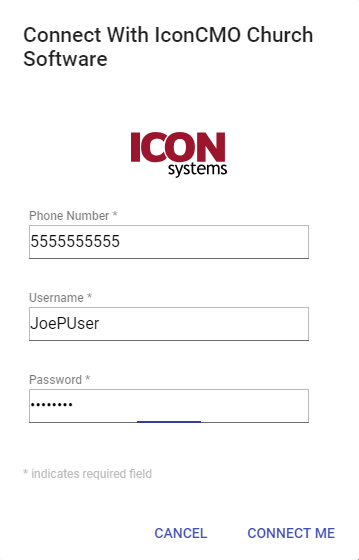 Within the box that pops up, you'll want to enter your IconCMO User Name, Password and Phone number. Once verifying your information is correct press Connect Me. Once you've successfully connected your IconCMO account, you are ready to create a broadcast using your IconCMO groups. In step 2 of broadcast creation a new button will appear which allows you to choose the groups within IconCMO. Click this button and choose any of the groups you'd like to include in the broadcast.